The SD-304 PG2 is a wireless PowerG innovative shock detector with optional magnetic contact and auxiliaryinput interfacing with PowerMaster-10 and PowerMaster-30 control panels (version 16 and higher). The SD-304 PG2 fits windows, doors, walls or roofs and is ideal for residential or commercial installations. 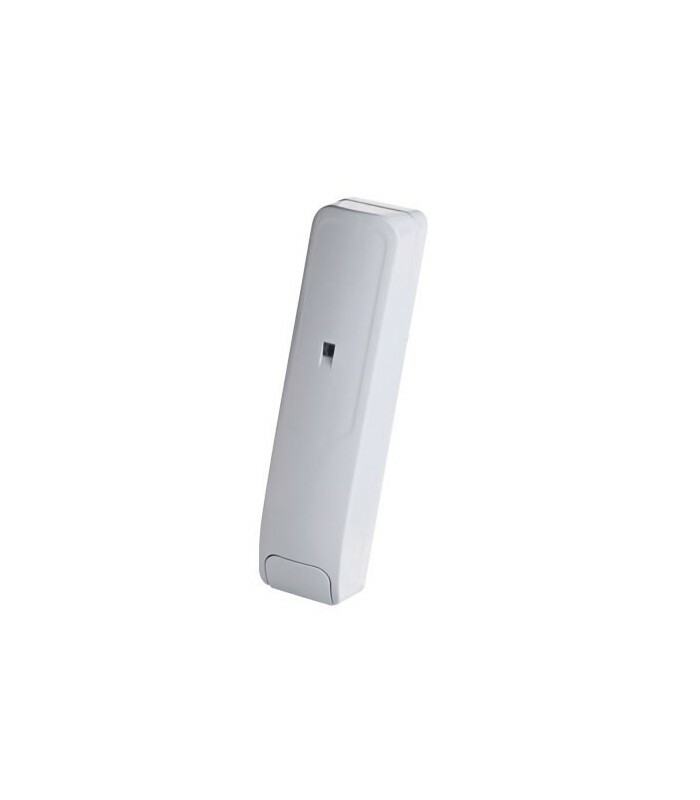 It detects andanalyzes gross attacks or a series of low level shocks (up to 10 low level shocks within 30 seconds) andprovides early warning of any attempt of intrusion before a burglar actually breaks-in. • A shock / vibration piezoelectric sensor.